A coalition of peace, human rights and development NGOs has called on Spain’s monarchy and government not to authorize an estimated 2-billion-euro contract between Saudia Arabia and Spain’s state-owned shipbuilding company Navantia for the construction and delivery of five warships of the corvette class, which the coalition says could be used in the Saudis’ ongoing war in neighboring Yemen. The “Arms Under Control” coalition, which includes Amnesty International España, Greenpeace España, Oxfam Intermón and Catalonia-based FundiPau, made the plea on the eve of a visit to Madrid this week by Prince Mohamed Bin Salman, heir to the Saudi throne, who in addition to meeting Spanish head of state King Felipe VI for the first time is expected to sign several bilateral agreements with the Spanish government. Among the agreements is the anticipated sale to Saudi Arabia of five corvette-class vessels that are designed for ship-to-surface warfare and maritime patrol and are typically armed with heavy-calibre weapons, torpedoes and surface-to-surface missiles. According to the Arms Under Control coalition, Spanish armaments manufacturers sold 728.5 million euros worth of weaponry to Saudi Arabia between 2015 and June 2017, much of it destined for use by the Saudi-led coalition operating in Yemen. Human rights organizations have charged the Saudi-led military campaign in Yemen with indiscriminate bombing of the Yemeni civilian population, which would make the sale of Spanish arms to the Saudis a violation of Spain’s 2007 law governing the export of Spanish-made military weaponry. 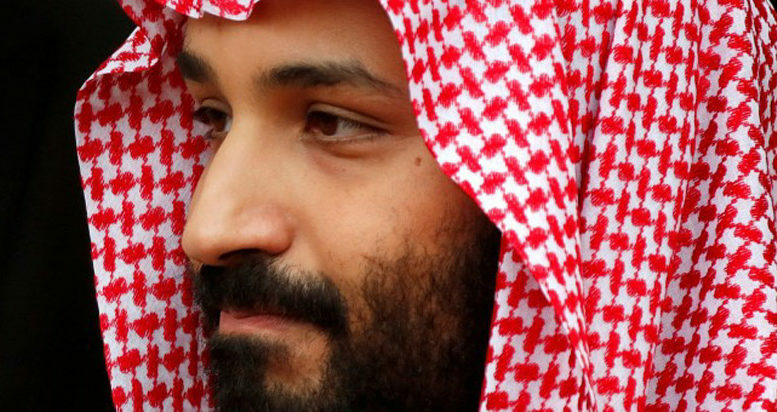 Although Prince Bin Salman is not the head of state of Saudi Arabia, he will Arabia, he is reportedly staying in the El Pardo royal palace during his stay, while an estimated 700 members of the Saudi entourage accompanying him are staying in luxury hotels in the Spanish capital.